Principle - Marek Rozkowski, OAA, Arch. Annette Public School Parent's are thinkig of designing a bench for a crossing guard at the South West corner of Annette Street and Clendenan Avenue. The bench could also be used by students waiting for a pick up by parents after school. 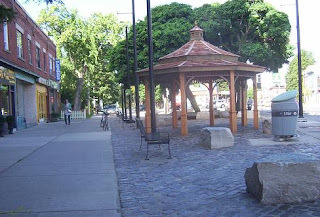 We have still to decide if the bench could proceede as a neighbourhood beautification program or some other municipal program. The idea is to involve grade 7 & 8 students as much as possible in a design and selection process. Mark Rozkowski from High Park Architects proposed a new initiative to install a dual axis solar tracker with solar panels on the school roof. 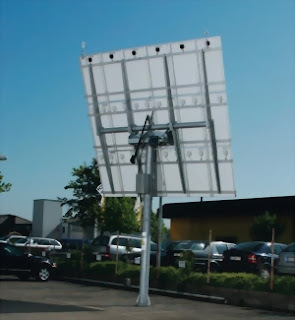 The Degertracker 300EL model is an advanced solar tracker and will be donated to school and all related work: required building permits and installation etc. will be done on volunteer basis. Students would be able to maintain and monitor the system performance online under the supervision of the science teacher. The program could teach children about sun movements, atmospheric impact on solar output, electricity principles (voltage, amperage, watts, electricity current phases etc.). It can also be used as a demonstration how green technology can reduce environmental pollution and reliance on fossil fuels. If we could have the solar system run as Feed in Tariffs Provincial program the revenue generated by it could fund other student's science programs. After many month off discussions and meetings, Public Space Improvement Working Group comprised of the Architect Marek Rozkowski, Junction Residents Association representatives, the Councillor for the High Park area Bill Soundercook and the City Staff members, has finally approved the architect's design layouts and instructed City's Construction Manager to proceed with building the square as per drawings and specifications. 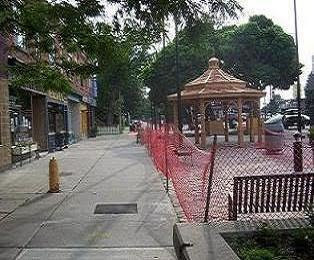 The construction includes building 15' DIA cedar gazebo, laying down and polishing cobblestone pathways, placing decorative boulders, reconfiguring benches location, installing new tables for board games and other custom designed street furniture and creating open planting area around existing mature trees. 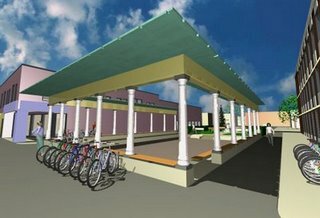 Official Plaza opening is planed for the end of August. If we keep the surface on the current level we will not interfere with underground infrastructure and existing surface drainage patterns. That would require eliminating from the current design the benches parallel to Dundas street and keeping only two tiers stadium seating “surface mounted”stances that are perpendicular to Dundas street. This configuration coupled with placing a few bollards in strategic locations will allow free movement of pedestrians, bikes, emergency and city maintenance vehicles and inhibit passenger cars and trucks movement. Junction Public Space - needs and idea discussion drawings produced by High Park Architects based on the initial idea expanded to incorporate ideas from the last Junction Residents Association meeting. 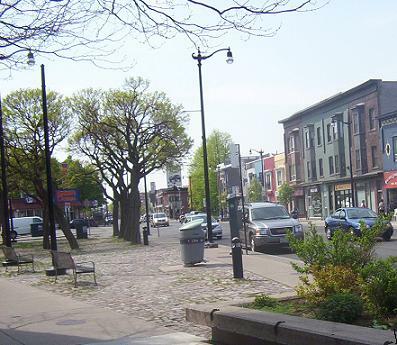 A build it ourselves initiative of volunteers that are focused on developing partnerships and raising the means to create a street scape open space on the roadway on Pacific Avenue North of Dundas St West to the just before the lane way. 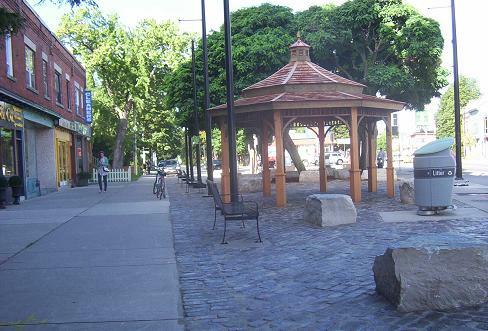 Goal, to create a public space in the Junction, that is community governed, and services the community interests, providing a location for cultural, everyday activities and the event needs of the Junction.